Kyrie Irving reportedly wants to be traded away from the Cleveland Cavaliers, and LeBron James is not happy about it. Kyrie Irving is ready to end his run with the Cleveland Cavaliers, as league sources told ESPN that the point guard has asked the team to trade him. The request came last week and was made to Cavaliers owner Dan Gilbert. Irving has expressed that he wants to play in a situation where he can be more of a focal point and that he no longer wants to play alongside LeBron James, sources said. Let’s forget that the Cavs were trash prior to LeBron James’ return, when Irving was the team’s focal point. There’s nothing wrong with Irving wanting another chance to lead a team given he’s now 25 years old and a more developed player. But he went about demanding a trade in the wrong way, leaving James blindsided. James was informed of Irving’s request and was blindsided and disappointed, sources said. 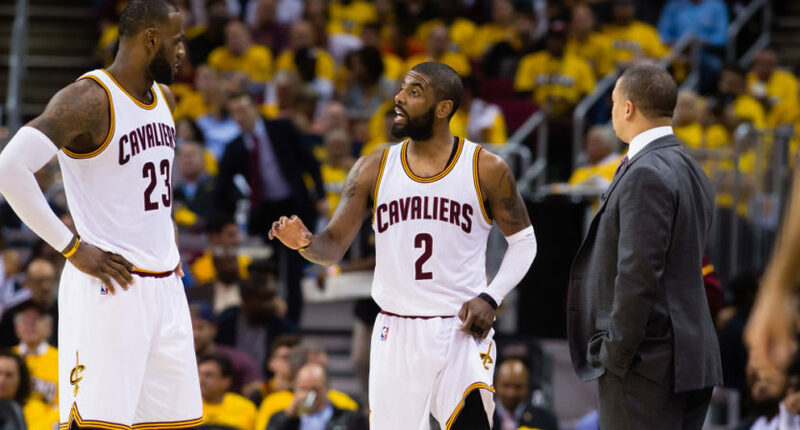 Irving did talk about the meeting with several other teammates, a league source told ESPN’s Dave McMenamin. Considering how much flack superstars have received for joining their peers on superteams, it’s hard to criticize Irving for wanting a chance to lead his own team. But it’s still slimy to go behind the back of the guy who turned you into an NBA champion and demand a trade. Windhorst on ESPN: "LeBron was devastated, from what I understand… He learned this several days ago. This wasn't new to him today." Windhorst adds: "Cavs have known about this for some time. We found out about it today. They have begun thinking through their reactions." However, James does not plan to intervene and will let the Cavs front office handle the trade situation. Many people were already speculating about LeBron leaving the Cavs as a free agent next summer, suggesting Irving could have become the focal point in Cleveland once again and kept the possibility for a supermax contract in 2019 open. But the Cavs front office has been a mess, so you can’t blame Irving for wanting a fresh start.